The Belconnen Community Council (BCC) thanks EPSDD for the opportunity to contribute to community consultation on the revised Kippax Draft Master Plan. We attach our original submission (Attachment A) from February 2016, as we still believe it provides informed feedback on the aims of the master plan process to enhance the Kippax Group Centre to cater for increased population, and associated demand for retail and community facilities. Our specific concerns related to the revised draft master plan are in this submission. We thank the Directorate for including us in the community reference panels during late 2017, when the community consultation process that had concluded in early 2016 was reopened after lobbying by Kippax Fair owners paid consultants, Elton Consulting. We felt that the reopened process had too strong a focus on retail drivers favouring an appropriation of Urban Open Space for retail use, ignoring better options already identified in the draft master plan. This second consultation process and its focus on Kippax Fair owners commercial ambitions, seems to be at odds with the aims of the initial consultation process and the support that the draft master plan had from the community for a sensible mix of open space (and better access to it), community facilities, and the use of older buildings and government owned carparks for future retail use. In this submission, the BCC set out the argument for rejecting the commercial appropriation of urban open space to the east of Kippax Fair, retaining Section 51, blocks 47 and 35 for commercial use, and urging the government to reject the pressure of paid consultants whose views are at odds with the community over the future of the Kippax group centre. We also urge the ACT Government to ensure that any decision about rezoning urban open space conforms with its own policies on active living, urban heat islands, climate change adaptation and uses a triple bottom line assessment. Incorporating the Kippax Fair owner’s private proposal in lieu of the recommendations of the initial draft Kippax master plan will see a considerable reduction in green space in the Kippax precinct. The new rezoning proposals serve only Kippax Fair owners and not the precinct as a whole; a pocket community park is not a fair trade. Enhancing services, access and facilities in the Kippax Precinct are not dealt with in any meaningful way. Businesses in Kippax not associated with Kippax Fair will be disadvantaged and become less viable if this private proposal is accepted as is. The commercial centre of the Kippax Group Centre will shift away from its hub in the Hardwick Crescent area, with a mix of viable street frontage and community facilities, to a controlled closed retail environment similar to a mini Belconnen Mall. The resulting drop in patronage of the surrounding shops and businesses could lead to under investment by the owners of those shops. This could lead to a death spiral where these small businesses close due to a drop in trade, or moving to other locations due to pressure to upgrade or the creation of an undesirable location. The worst case is the street level retail not associated with Kippax Fair could end up dotted with empty shops and a loss of a mixture of businesses and services from the Kippax Group Centre. This is contrary to the aims of the Master Plan. Future public transport options could also be impacted. By appropriating the playing fields, future options and opportunities to establish a light rail terminal in the Kippax precinct would also be affected if the private proposal were accepted. The BCC suggest that the best outcome for the Kippax Group Centre would be the adoption of the recommendations from the 2016 Kippax Draft Master Plan. The master plan process for Kippax has been ongoing since 2013 and in 2018 should have been concluded, with a new precinct code enacted through a Territory Plan Variation. It is important that this precinct is upgraded with new retail and community facilities to cater to the increased population that West Belconnen will receive, especially as the Ginninderry residential development has already started to sell residential blocks and housing. The BCC support the addition of extra retail space, including new supermarket offerings. This upgrade must be in sympathy with the existing feel of the Kippax Group Centre, a combination of walkable street front retail and an enclosed shopping centre similar in scale to other group centres. The BCC have significant concerns about this master planning process, and it’s reopening to include a drastically rapacious land grab of urban open space, well after community consultation had concluded (and a draft master plan issued). Kippax Fair owners have created the delay in the process after the draft master plan released in early 2016 failed to include their designs on the Kippax playing fields for retail purposes. The 2016 draft master plan did address the objectives for the precinct and was a result of community consultation and strong support from government, community and sporting groups, and local residents. Following the October 2016 election, the consultants engaged by Kippax Fair owners (Elton consulting) lobbied government to have the master plan process reopened. In November 2016 they issued a revised ‘private master plan’ that created confusion in the community (see RiotAct posts Shock shift in Kippax plan replaces oval with development and Kippax Fair defends plans to build supermarket on playing fields). This paid lobbying effort was successful with the government reopening the consultation process to discuss at length the Kippax Fair owner’s plans to appropriate urban open space. These new commercial ideas from Kippax Fair owners could have been included in the 2013-2016 consultation process initially, and their failure to do so has created an impost on the wider community and significant expense in the planning area of EPSDD. The confusing competing ‘master plans’ has led to significant difficulties discussing any planning in the Kippax precinct with members of the public – as one first has to establish which ‘master plan’ they are referring to. Of greater community concern is that this second consultation process seemed to be solely about the expanding the Kippax Fair owners retail centre over the playing fields, and has veered away from the other requirements the initial master plan process had identified for the entire Kippax precinct (outside the private interests of Kippax Fairs owners). The community reference group meetings in late 2017 had a strong emphasis on presentations supporting the Kippax Fair owners private proposal. The wholesale adoption of reports provided by Kippax Fair owner’s consultants relating to the impacts on other businesses in the Group Centre was startling. This conflicted with the draft master plan that discussed using the government owned carparks for the location of a new supermarket and other retail space. While presentations from school students and community groups were made, much of the discussion was focussed on retail outcomes and commercial priorities. An implication that future community facilities and their upgrading or replacement in the group centre (such as the old health building now used by the Belconnen Community Services) were solely dependent upon Kippax Fair owner’s proposal being successful, appears to have become accepted by some community members. The concern of the BCC Committee on the approach being taken in the community reference panel was so great, that we sought permission to make a presentation. The BCC feel that the retail imperatives being used to drive the rezoning of the Kippax playing fields ignore other ACT Government policies on active living, climate change adaptation, the urban heat island effect and more disturbingly, that any assessment be based on the ACT Governments own triple bottom line framework. Recommendations that the lost playing fields lost as part of any eastern retail expansion be relocated to the currently disused Higgins Ovals to the south of Starke Street. The BCC oppose the first point unless it is made more specific as to which parts of the Section 51, blocks 47 and 35 playing fields will be rezoned. 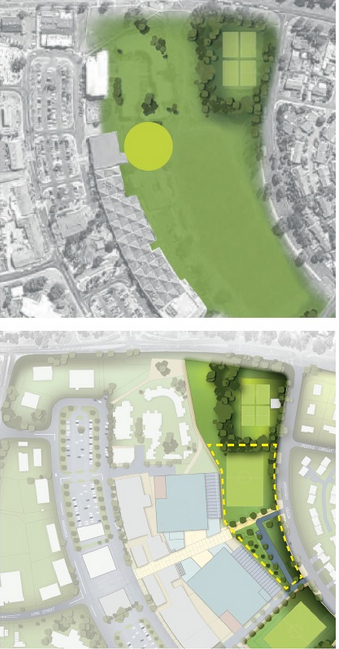 As identified in the original community consultation process, using a small section of the Kippax playing fields that would assist in aggregating the underused parts and older buildings at the rear of the Kippax retail centre, and providing better access (pedestrian, cyclist and vehicle) to the Kippax retail centre would be sensible and are supported by the BCC. Section 51, blocks 47 and 35 are zoned as Urban Open Space. The two proposals by Kippax Fair owners for increasingly larger parts of the Kippax green space, which would be built over with retail, commercial and some residential development cannot be supported when better options exist. These better options, primarily building extra retail space in an ACT Government carpark, are supported by the BCC. The BCC support this proposal with some reservations and concerns. In the community reference group the proposal made by Elton Consulting on behalf of the Kippax Fair owners was to convert the surface carpark (Section 89, block 1 and 2) to the west of Woolworths to green space, with community facilities around it. Between that session and the draft master plan revisions, that proposal has become a ‘small peoples park’ on Section 89, Block 1 only. This idea arose because of concerns raised by many members of the community that green space would be lost if the Kippax playing fields were rezoned for commercial, and built over by commercial buildings. This would impact upon the total area of green space in Kippax, and contribute to the urban heat island effect. Until this issue is resolved, the BCC are hesitant in supporting it, especially as confusion exists between what was proposed at the community reference group meeting and what has been reported in the revised draft master plan. Is it a square meter for square meter swap of green space to the east of Kippax Fair, replaced by the car park being converted to green space? Section 89, Block 1 is less than 1/10th the size of the green space in Section 51 that would be surrendered for retail use. Clarification is required urgently. The idea has merit if delivered in line with community expectations. The BCC support reactivating the Higgins Oval, but not at the expense of losing the Kippax playing fields. This proposal is from the Kippax Fair owner’s private master plan prepared by Elton Consulting. It intends to equate the reactivation of an under utilised oval, with the loss of an under utilised oval at Section 51, blocks 47 and 35. Reactivating the Higgins oval is a good idea that should occur regardless of the fate of the Kippax playing fields. The two should not be linked; losing green space is not compensated by better use of existing green space. That green space at Section 51, blocks 47 and 35 no longer exists. Despite being asked several times for a commitment in writing from Kippax Fair owners to fund the reactivation of the Higgins Oval, this has not been received. The government planners have captured in community reference group minutes that the reactivation should not be a cost borne by the community. How can the community have faith in the delivery of this if negotiations are made in private at the point of sale? This is an issue that must be resolved, in a transparent fashion with community input, before it can be properly considered. This 2018 revision is the worst outcome and recommendation arising from the reopening of the consultation process. The ACT Government owned carparks at Section 89, Block 1 and 2 are ideal for use as commercial sites. They are empty and used for surface carparking. Under the 2018 revision, both blocks are removed from consideration for commercial zoning and use as future retail space. They are now possibly a community space (Block 1), and a carpark (Block 2). This revision is counter to all consultation feedback during the initial consultation phase, and counter to ACT Government plans presented to the community during the 2013-2016 consultation process. 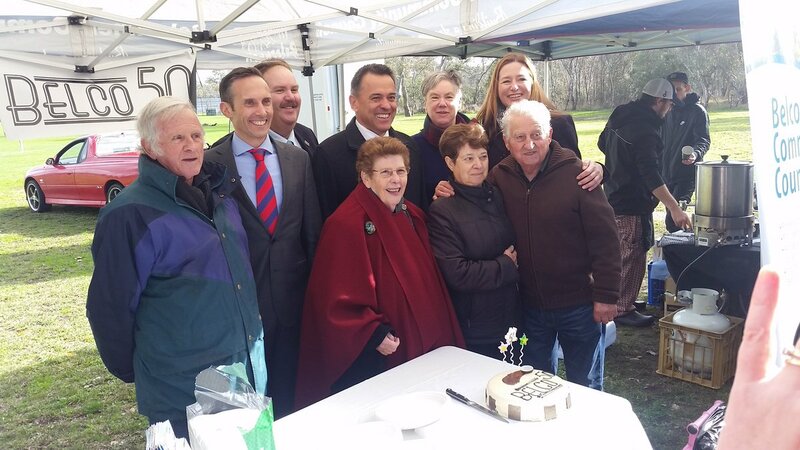 It is a direct result of pressure applied by Kippax Fair owners to the ACT Government. Throughout the 2017 community reference group process, several intimations to an ACT Government commissioned retail research report from 2016 were made alluding that this site was not suitable to retail use, as it would not be economically viable. The BCC asked that this report be made publicly available, but this was denied. The analysis recommends Scenario 4 (Kippax Fair private proposal) solely on the cost of providing replacement carparking in Scenarios 1, 2 and 3. Specifically the high cost of constructing basement/deck parking on a retail building in Section 89, Block 1 and 2. It assessed at grade surface parking at $2,678 per space and basement parking from $25,000 to $55,000 per space. The research assumes that parking will remain free in the Kippax group centre. This is an assumption with no basis, and defies a trend across Canberra to introduce paid parking where demand for parking exceeds supply. The analysis also notes market concerns on the ability of Kippax Fair owners to deliver the proposal, and advises of greatly reduced appetite for new supermarket sites in the ACT. As a retail analysis report it totally ignores social and environmental factors and does not apply them against the objectives from the Kippax master Plan. Further information on the Macro Plan Dimasi research can be found on pages 15 and 16 of Attachment B (Kippax green Space and Urban Heat Island effects presentation). The BCC urge the ACT Government to release this report. As already noted above, The BCC have concerns about Section 89, Block 1 being swapped for Section 51 and used for community use. In the revision, Section 89, Block 1 is PRZ1 zoned, however it is likely that pressure could be applied to use this for community use under CFZ zoning between the draft master plan process and a precinct code appearing. Proposed new height limits would enable retail expansion on the existing Kippax Fair footprint up to a height of six storeys. The BCC would prefer to see medium rise heights in the Kippax Group centre of three to six storeys. We have no objections to the heights proposed around Hardwick Crescent. We do not support the proposed building heights on Section 51, blocks 47 and 35 and as noted above, urge that this remain zoned as Urban Open Space, and not built over. The 2018 revision simply assumes that the Kippax Fair owner’s private proposal will occur, and that this will allow people to walk from Moyes Crescent into the Kippax centre. The BCC continue to support a new road connection from Moyes Crescent to Hardwick Crescent to enhance vehicle, cyclist and pedestrian access, and improve future public transport options. The master plan process has become derailed and confusion over the outcomes sought for the Kippax Group Centre has been created. The initial draft master plan from 2016 has the support of the BCC. 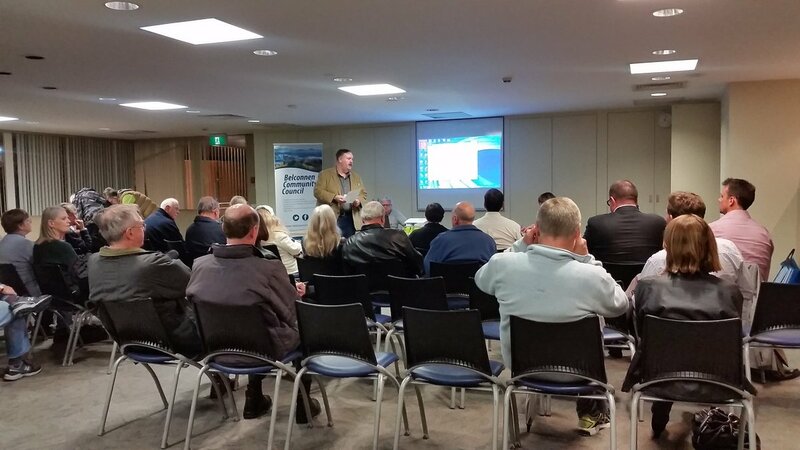 The submission made by the BCC in 2016 was the result of an enormous community effort comprised of extensive community consultation, several public meetings hosted by the BCC for ACT Government Planners (and Kippax Fair) to present ideas, and feedback received by the BCC from members and residents. The Kippax Fair owner’s private proposal is not the best option. In addition to the extra space made available to Kippax Fair through the proposed additional height provisions, they have the ability to make better use of the space at the immediate rear of their building currently used for parking and service access. Commercial space can also be found by rezoning the government owned carparks of Section 86 (5000 sqm), Section 88 (3850 sqm) and (3830 sqm) Section 22, the old health centre. That is substantial area that can be both multilevel parking and/or commercial space. That the urban open space at Section 51, blocks 47 and 35 not be rezoned for commercial use and remain zoned for Urban Open Space. That the government owned carparks at Section 89, blocks 1 and 2 be made available for commercial use with increased parking provided in a basement or on the roof of a commercial building with street frontage retail. That the government owned carparks at Section 89, blocks 1 and 2 be provided to the market for commercial use through the auction process instead of a direct sale process. The recommendations from the 2016 draft master plan are adopted. That future master planning processes, or precinct code processes be open and transparent and not able to be reopened when subjected to lobbying pressure by paid consultants and commercial interests. That the ACT Government adhere to existing ACT policies in Climate Change Adaptation, Active living and the use of the triple bottom line assessment framework when considering the future of group centres. That the future use of urban green space has defined value as urban residential space grows, especially as residential densification reduces individual access to private green space. The BCC are available to discuss any aspect of this submission. 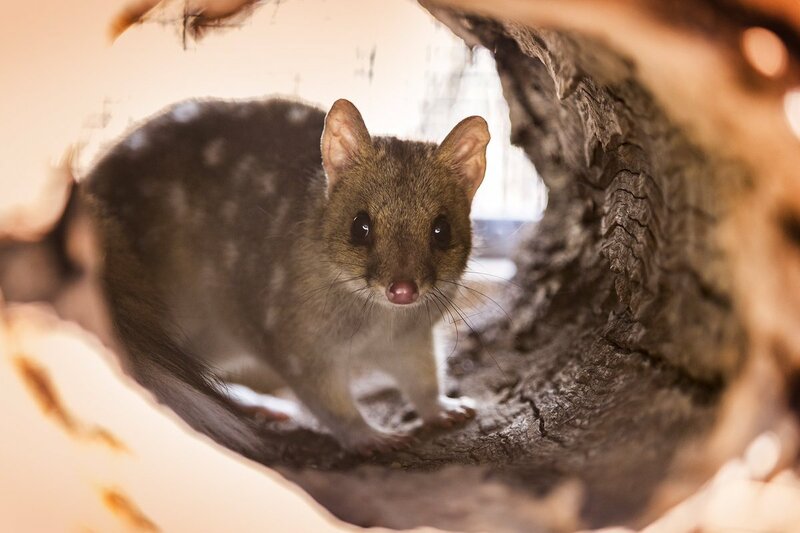 In December 2016 the BCC provided a comprehensive submission to the ACT Government covering short and long-­‐term budget items it has identified that can best serve Belconnen residents, workers and visitors. The BCC submission has a distinct concentration on the capital infrastructure priorities the Government should consider implementing in the next four years. While the BCC submission should be viewed through a Belconnen community lens, a number of our suggestions apply across the ACT. 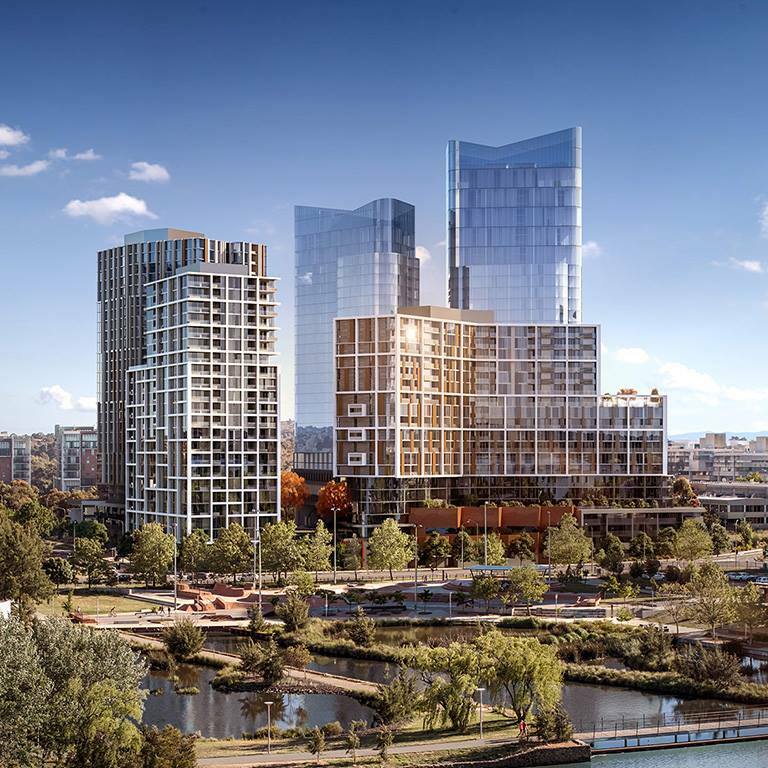 As the Belconnen area straddles the electorates of Ginninderra and Yerrabi, the items suggested by the BCC are of benefit to residents of both electorates, and those who visit for work, education or recreation. These items represent the focus of our lobbying activities for 2017/18. The full BCC Budget Submission can be read at this link. Construction of a multi-­‐level car-­‐park in the Belconnen Town Centre.